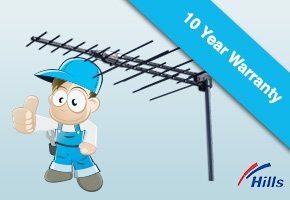 The Installers is your top provider of Australian Made TV Antennas in Perth. If you want to go digital, now is the time. Our company offers high quality products and dependable services for your every need. Whether you live in the city or in the bush, great signal reception is guaranteed every time. We even have excellent options for different types of budget. Our company offers excellent packages made available especially for you. If you live in a highly industrialized area, our starter package will suffice. If your place has low signal, our family package is right for you. It has a signal booster that will resolve your TV reception problems. Go for our premium package if you want a 50-inch TV hang to go with your package. If you live in a place where signal reception is poor, get our country package instead. Whatever you choose, you can enjoy watching your favourite TV shows whenever you want. If you are only looking for a digital antenna upgrade, our packages start at $149. Our team of installers are professional and friendly. They can help you decide or pick one that best suits your needs. Our specialists can correctly position and calibrate your antenna for the best results possible. They can even visit you wherever you may be in Western Australia. 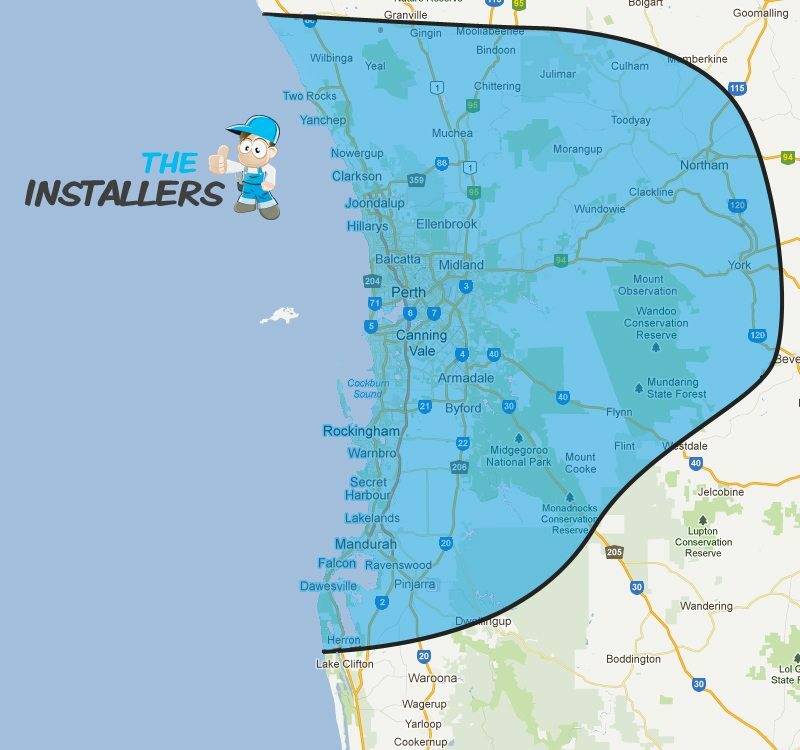 Whether you are in Byford, Chidlow, or Two Rocks, we can help you install your antenna. We promise you will be in time for your favourite show. The Installers offers the best and most convenient antenna packages for your home entertainment needs. Our antenna is built to last and can withstand the harsh elements. 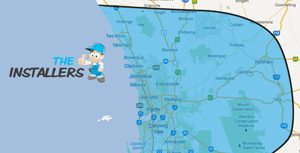 Our service is remarkable and preferred by hundreds of residents in Western Australia. If you have a weak signal reception at home, do not settle for cheap antennas. Have The Installers provide you with high quality products and services. We use Australian Made antennas that have been tested against our harshest elements. With Perth’s storms, wind and rain this does make a big difference. We only install 100% genuine, Australian certified equipment. Always check you're not getting OEM products when comparing security systems. After doing quite a bit of research we decided to go with The Installers for our house alarm/security cameras. Wow i wish more companies offered this level of service. From Jake helping to decide which system would be the best for our needs, to the installers arriving on time, even receiving a text the night before confirming installation time and a text half an hour before saying they were on their way, they were so polite and certainly knew the products and the best place to position the cameras for maximum benefit. Very happy with this purchase and highly recommend The Installers. 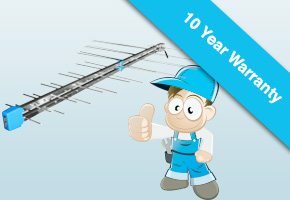 We run a small building company and have used these guys numerous times. We usually install the 3 Unit package that includes and alarm and antenna for three units. The one time we had a an issue they fixed within 24hrs. I can highly recommend their service, especially if you are in building or real-estate. I had three security cameras and an alarm system hooked up by the Installers. The two tradies that came out to do the job arrived on time (even sent me a courtesy text thirty minutes before arrival) and completed the install quickly and cleanly. The guys were extremely helpful in training my partner and I on how to get the most out of our new system, politely answered any questions or queries we had and were also patient when my pets wanted to play. Jake at customer service also provided great customer support when i had further questions after the install. Would highly recommend The Installers to anyone looking at getting a new alarm system. I had a networked camera system installed by these guys and i couldn't fault there attention to detail on all aspects of the job. They were very friendly and where happy to help with any questions I had, even after installation was complete the customer care was exceptional. I would recommend the installers to everyone. *Pricing subject to change without notice. All prices based on single storey standard homes. Prices can vary after property inspection.